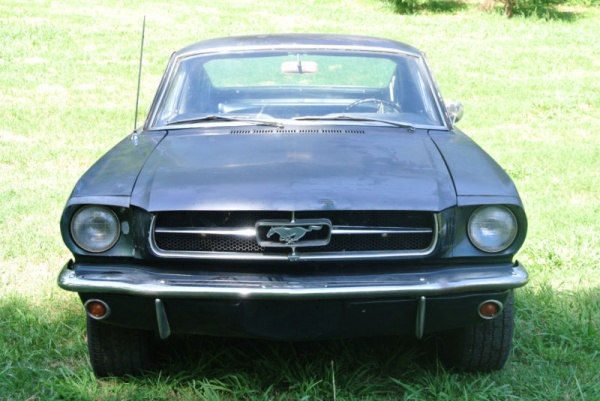 When the Ford Mustang hit the streets in mid ’64, it was the car to have. It had great looks, plenty of power, and was fun to drive. 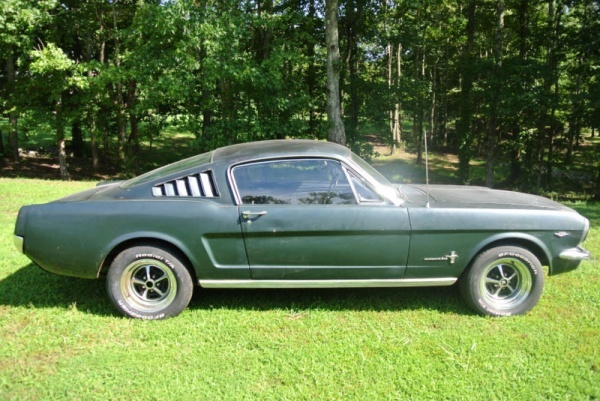 To broaden the appeal, Ford decided to add a 2+2 Fastback to the lineup in ’65. 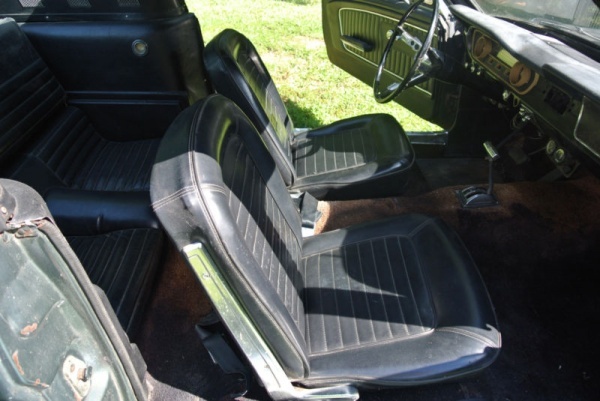 The mixture of European and American styling made the Fastback an instant hit. 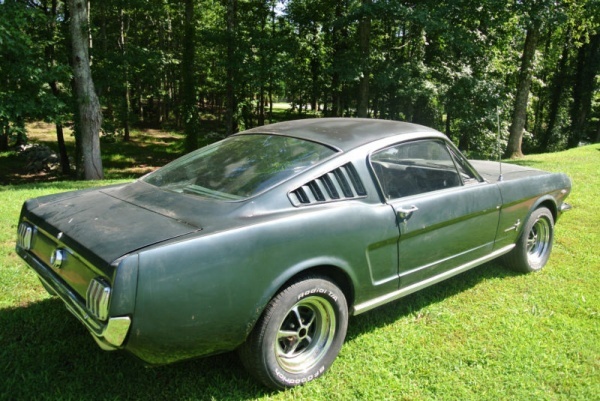 This ’65 Mustang Fastback has been kept in a barn in Georgia for many years, but is now on the market. It’s currently located in Canton, Georgia and can be found here on eBay with a BIN of $9,500. This Fastback isn’t the GT model, but it does have the 289 cui V8. 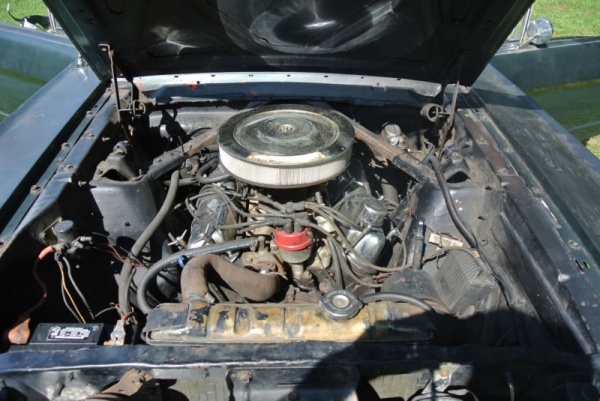 It is a C code car, but has had a four barrel carburetor installed. 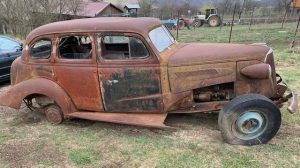 The seller claims it is currently running and driving. Our major complaint here is the automatic gearbox. The Mustang is one of the most iconic American cars to ever be built. Even if you aren’t a fan of the Mustang, you have to at least appreciate what it did for the American sports car. Without the Mustang, the Pony car wars of the mid to late ’60 would have never happened and we would be without all the other great Pony cars. The interior is believed to be original and looks decent. The carpets obviously need to be replaced and the floor pans are in rough shape. The underside of this car has some rust issues that may make it a costly project. 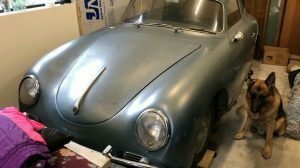 The rest of the car looks solid enough to make it worth saving, but be prepared to replace most of the sheet metal underneath. The exterior of this car looks solid, with only minimal rust in the rear fender lips, but the underside is a different story. Parts are plentiful and typically affordable. Given that the car is from Georgia, we would check if for rust hidden around the windshield and rear window. Bidding is still well below the BIN price, but reserve has yet to be reached. This could be a good project for the DIYer that is handy with a welder. Would you take this one on or leave it in the barn for someone else? great color I’d snap it up in a heart beat. I love it… makes me miss Robert Urich’s ‘SPENSER: for hire’ series from the 80s. Their Mustangs were rust buckets to the end… looked great though. Things to look for….rust in the grill/vent in front of the windshield. Water sits and rust out the box. The only way to fix it is removing the firewall. Rust in the quarters and corners of the doors. Can be made to handle, stop and go well with all the after market goodies. 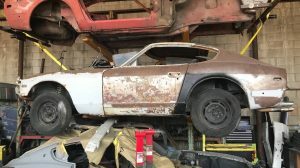 Typical price for a fixer fastback. They made thousands of them. The coupes (notch backs) were raced in Europe and did very well. In fact the notch is better balanced. Awww man, now I have to look at another ’65 C-code Fastback—merely the best looking Ponycar ever made, the one I covet the most. This car reminds me that I came within a few seconds of buying one a couple of weeks ago on eBay, but I didn’t pull the trigger. Moving past my problems and on to this car…. Someone could buy this, clean it up a bit, especially under the hood and inside, and drive it as-found. But before that, the big need is for new floors and to tie the stiffeners on the underside to them. All the panels are available aftermarket. After doing all that I would just drive it. It really doesn’t make sense to buy this car and put $20+K more into it trying to make it perfect. Ford built many thousands of these early fastbacks and there are a lot of them on the market at any one time, so there is a lot of choice. And a lot of bargains, compared to how much it would cost to buy a car like this and restore it fully. For example, the car I passed on was a ’65 C-code FB that was restored beautifully and almost perfectly as a GT350 H tribute. Beautiful paint, interior, engine bay, underside, and it had an original 4-speed. It needed nothing, and you could drive it for the rest of your life doing nothing to it but changing the oil. All for a winning bid of $17,000. You could not possibly duplicate that with this car for a total cost of $17,000. As always, kids, my advice is: Be patient, wait until the right car comes along, and buy someone else’s driver for a good price, or someone else’s restoration for not that much more. One of these days I might even take my own advice. yes, the vent under the heater intake grill does rust out which leaks on the floor and rusts it out. But, no need to remove the firewall at all. Just take the fenders off and the windshield out, drill out the spot welds an take the grill off. Any half decent welder can cut out the rusted area and replace it with the aftermarket sheetmetal made for that area. A one day job for a decent mechanic. Now this was the ‘must have’ car of the 60’s. A ‘ C’ code is fine, (added 4-bbl or not). Just add a nice set of pipes and you’re done. This one, with a lot of rust in known places, will also have a lot of rust in unknown places, and thus would be too much work for most of us. As they say, there are plenty of FB’s aound, so patience will find you a better car for less investment. An ‘A’ code would be really cool, but too many sellers take advantage of that, so a stock 2-bbl 289 would be fine. And, it’s fun to stick on a new manifold and carb, if you must have it. And, you would need nothing more than a your tote-box of Craftsman tools and a little time. If you took Mustangs & Camaros away from most general entry cars shows, the number of vehicles displayed would drop by at least 30%. 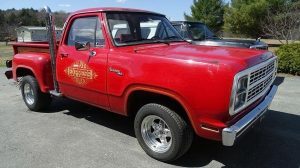 Will take her but not for 9500$, it needs a full restoration ! ?